I can guide you to communicate in Portuguese or train you to pass Celpe-Bras! I graduated in languages (Portuguese and English) and I've been teaching since 2006 so I have experience and the material to guide you in this process of learning Portuguese. Teaching online and working on resources for students is my full time job. I also work with students who need to pass the Celpe-Bras exam. 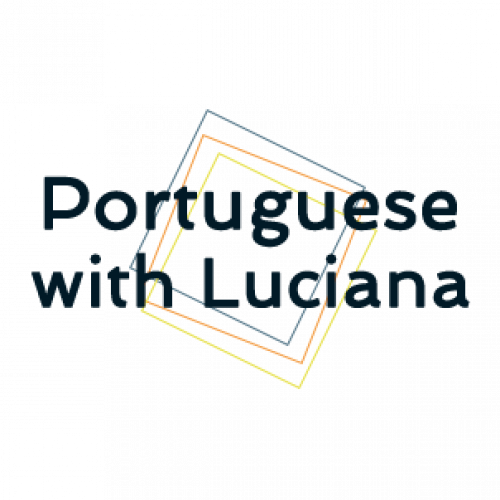 - If you have never studied Portuguese before and don't speak the language, we'll start straight with the lesson and I'll explain how I work in during the regular lessons. - If you already speak Portuguese, then we'll have a conversation in the target language so I can check your level, what you know, what you need to improve and I'll tell you my ideas on how we can work to advance in the language. - General Portuguese course - A1 - B2: we are going to work on the 4 skills (reading, writing, speaking and listening) including exercises, videos, pictures, texts, etc. to help learn and speak Portuguese. - Fluency development - Intermediate students: if you have enough vocabulary and knows a good amount of grammar, but still finds it very hard to listen, understand and speak then the focus of lessons will be conversation based on pictures, videos, or articles with questions, notes, repetition until you can feel confident while talking in Portuguese. - Preparatório para o Celpe-Bras e outros exames: Durante o período de preparação, vamos focar na estrutura do exame, mas também podemos fazer revisões e tirar dúvidas de assuntos básicos. - Português offline / self-study course: All the structure of the course is presented here. I always give some exercises as homework or something to prepare for the following lesson. * Please note that you can not reschedule or cancel a lesson that starts in less than 24 hours. If it happens or you don't show up for the lesson I kindly ask you to pay it. You can use this referral link to get USD 10 after your first lesson. And you can check my schedule and book your lesson here. Do not hesitate to contact me if you have any question about the lessons.